Backgammon is a 2 to 5 player game of skill where each player initially has 15 checkers on a board consisting of 24 spaces or points. The checkers are moved according to the rolls of the two dice. Each player has to to bring his own checkers in the home area and bear them off before his opponent, hitting and blocking the opponent's checkers along the way. Backgammon is a game in which the thrill of the race to beat your opponent enthralls both novices and professionals alike, either in live tournaments or games or in online Backgammon games. Backgammon is a 2-player game played with 15 checkers per player and a pair of dice. In the beginning of each game the checkers are set up to a specific starting position. The players roll the dice and move their checkers according to them around the board. The goal of the game is for each player to bring all his 15 men into his home board and then bear them off. The player who has borne off all his men first wins the game. The first edition of the official rules were published by Edmond Hoyle in 1743. However, the rules have changed some since then. For instance, the doubling cube only came into play in the 1920's. It is called "the world's cruelest game" with good reason, for unlike virtually every other game, it is a tantalizing and frustrating amalgam of luck and skill. But that is also its attraction, because with good dice even a novice can defeat a grandmaster in the short run. At the start of the game each player rolls one die. The player with the higher number moves first. He has to use the number he rolled and the number his opponent rolled to make his first checker play. 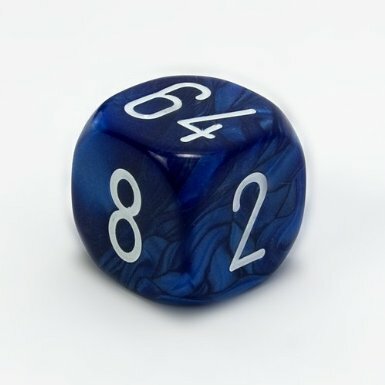 If both players roll the same die, both roll another die to determine the opening roll. At each player's turn he rolls two dice. For each number of the dice he can move a checker. If both numbers are identical the roll is called a doublet. The player can then move up to four checkers. The roll of the dice indicate how many pips each checker can be moved. A checker can only be moved forward. - there is only one checker of the opponent on this point (hitting). The numbers of the dice constitute separate moves. For example suppose the player rolls 3 and 1. Then he can move one checker by 3 pips and another one by 1 pip. However, he may also move the same checker by 4 pips if he can legally move the checker first by 1 pip followed by 3 pips or first by 3 pips followed by 1 pip. A player must use both numbers of a roll or all four numbers of a doublet if this is possible. If only one number can be played the player has to play it. If either of the numbers can be played individually but not both numbers together then he has to play the higher number. A checker can be hit by the opponent if you move one of your own checkers to a spot, where a single opponent checker is located. A hit checker is placed on the so called 'bar' and has to completely run again around the board. Any time the player has checkers on the bar he has to move these checkers first. A player may not make any other move before he has brought his checkers on the bar back into play. A checker can be brought back into play by entering into an open point of the opponent's home board. Re-entry can be made on the points corresponding to the rolled dice. If a player can not re-enter from the bar because the corresponding points are owned by the opponent he must pass his turn. Once a player has brought all his 15 men into his home board (the last quadrant of the board where his checkers can go) he can start bearing off his checkers. The player may bear off a man from the point corresponding to the rolled die. If there is no checker on the corresponding point he must make a legal move from a higher numbered point. If there are no more checkers on higher numbered points he may bear off a checker from the highest numbered point where there is still a checker. A player is never obliged to take a man off if he has a legal alternative. Once a checker has been borne off it can not be brought back into play. A single win: If the loser managed to bear off at least one man, then the winner wins a single win. Gammon:If the loser did not bear off any man, the winner wins a ‘Gammon’ counting as a double win. Backgammon:If in addition to the Gammon the loser still has at least one man in the opponent's home board or on the bar, then the winner wins a ‘Backgammon’ counting as a triple win. Backgammon is played for a given stake per point. The players can either play several games and just sum up the result (money games) or they can play to an agreed number of points (match play). In either case, doubling is an important factor of the game. At the beginning of each game the stake is one point and the doubling cube is available to both players. During the game, either player may propose to his opponent that the game continues for twice the stake. The opponent then has the choice of either refusing the double (giving up this game) and giving the current stake to the player, or taking the double and continuing playing for twice the stake. A player who takes a double becomes the owner of the doubling cube. Only the owner of the cube may offer subsequent doubles. For each game the loser pays the winner the stake multiplied by the value of the cube. The price is further multiplied by two in case of a gammon loss or multiplied by three in case of a backgammon loss. The Jacoby rule states that a gammon or a backgammon can only be scored if the cube has been turned by a player and taken by his opponent. These occur when both players roll the same number at the beginning of the game. The value of the doubling cube is doubled but the cube still stays in the center. If this happens another time in the same game it has no effect anymore. Automatic doubles count only once per game. Some players like to have some extra excitement. With this rule they randomly play some games for twice the initial stake. If a player doubles and his opponent thinks he is the favorite in the game he may beaver the cube. This means that he accepts the double but takes the cube on the twice the offered value. Effectively he doubles at the same time as he takes while keeping the cube ownership. Match play is the style of competition used at tournaments. The winner of the match is the first player to accumulate an agreed number of points. Each game is worth the value of the cube multiplied by the type of win. Note that the final score is irrelevant, the only goal is accumulate at least the agreed number of points and so win the match. The Jacoby rule, automatic doubles and beavers are not used in match play. This rule states that if the first player reaches match-point (he needs only one more point to win the match) it is not allowed to use the doubling cube during the following game.